Today I have some gorgeous polishes to share with you, these are a few of the new El Corazon (Russian brand) polishes from the Fenechka (Фенечка) collection. This collection is inspired by the friendship bracelets aka Fenechka in Russian, these are all creamy polishes with black and white matte glitter. This combination creates a fun and cute look, the company defiantly did a great job with these colors! 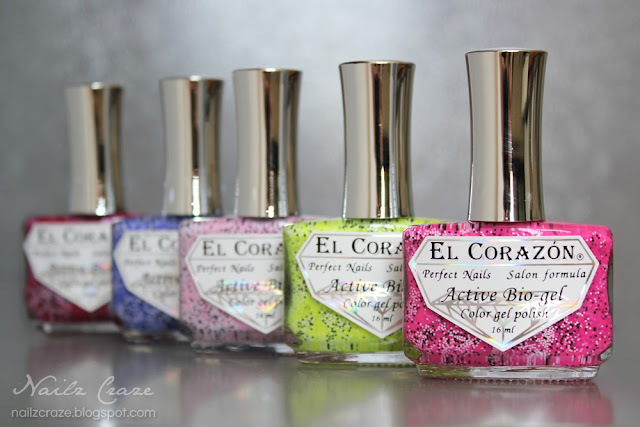 There are 11 colors in this collection, in this post I'm going to show you five of them which I received from the company for a review. 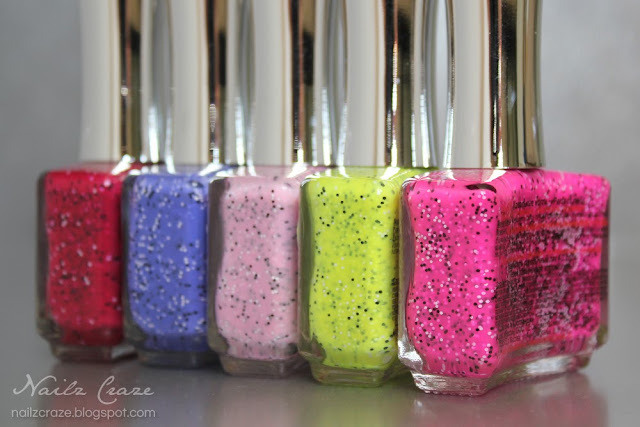 I'm also going to make swatches of these to show you how fun and pretty they are on the nails, but for now I hope you will enjoy these bottle shots I've made. Sooooo pretty! Can't wait to see the swatches! OH MY, OH MY, OH MY! So amazing polish and effect. Perfect, i love. I absolutely love these pictures! Do you have any info on your photo setup?